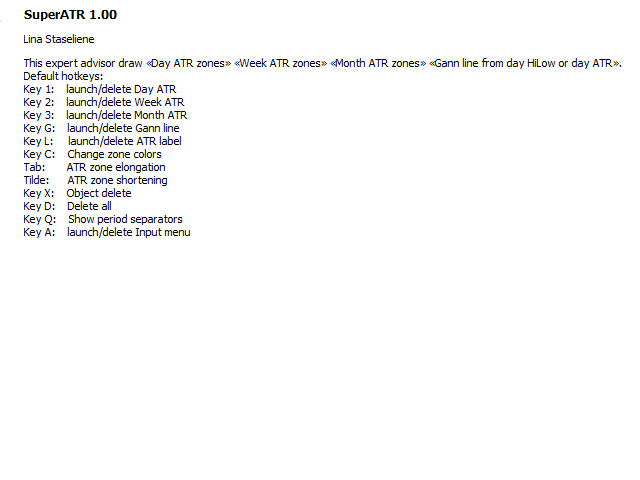 This is a demo version of the "Super ATR" Expert Advisor. The demo version works only on GBPAUD. 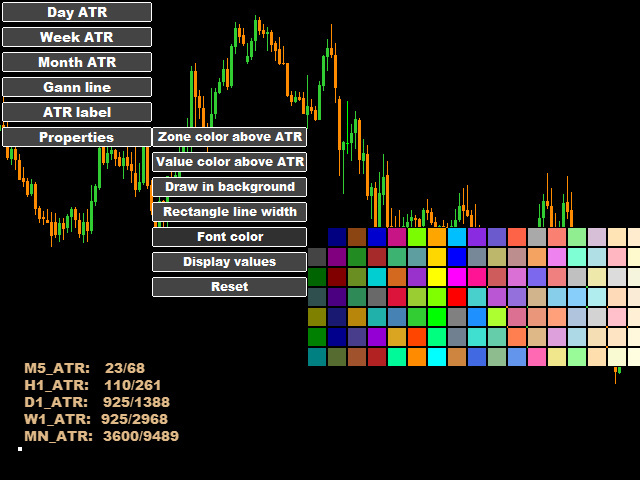 Super ATR is a powerful tool for analyzing the ATR (Average True Range) levels. 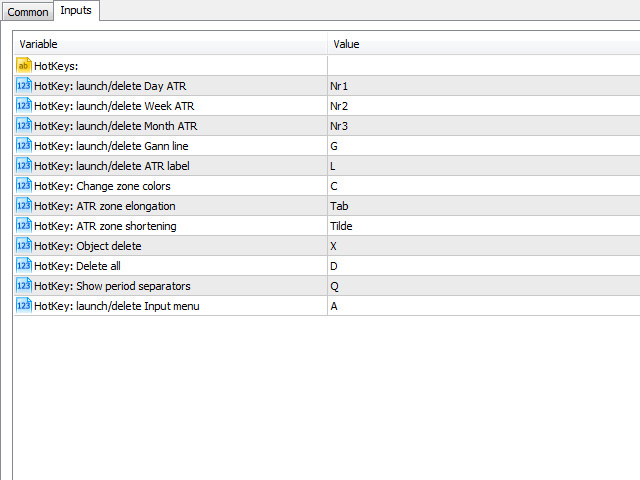 The intuitive interface allows you to easily monitor all the main ranges of volatility. 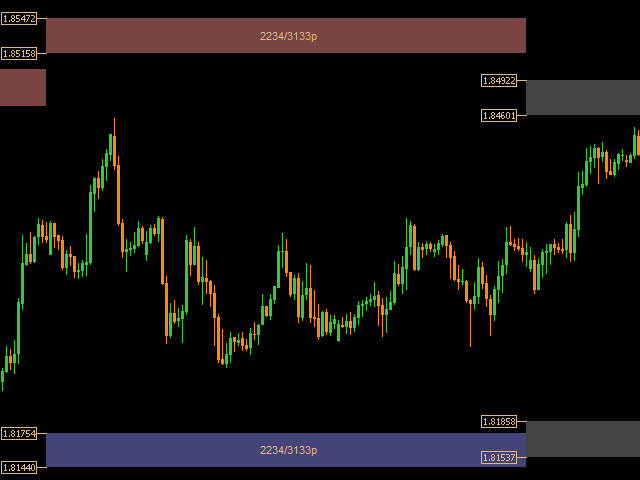 Plots the daily АТR areas on the chart. 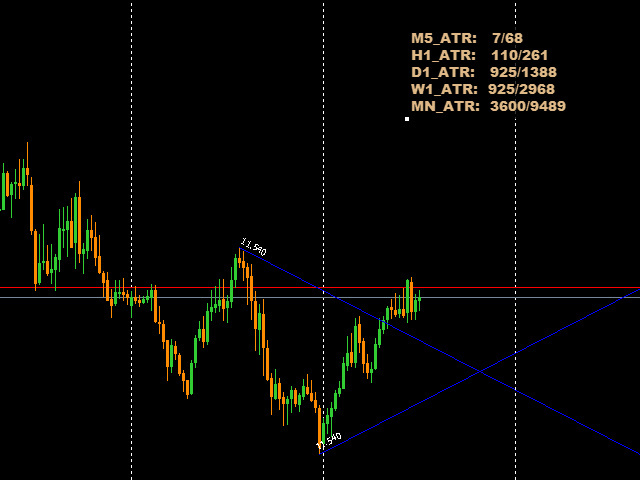 Plots the weekly АТR areas on the chart. Plots the monthly АТR areas on the chart. 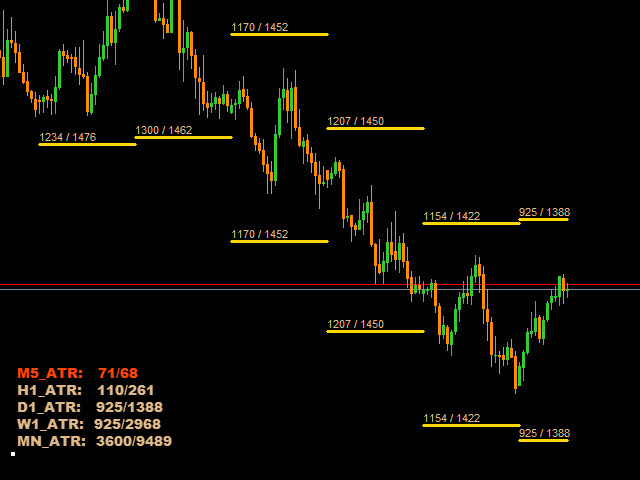 Displays a panel with the current values of the main volatility ranges (M5,H1,D1,W1,MN) on the chart. The areas and values in the table change their color when the ATR level is reached. Draws the Gann lines according to the M30 strategy. The Gann angle is calculated by Hi-Low (Тruе Range) or by АТR of the daily range (in the settings - Gann mode > HiLow mode or ATR mode).